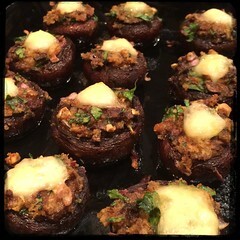 Classic hor devours such as Stuffed Mushrooms are easy to make and pack a flavorful punch! They also bring back memories (at least for me), I remember savoring these little gems before holiday meals and celebrations. 6. bake at 280F until the mozzarella begins to brown.